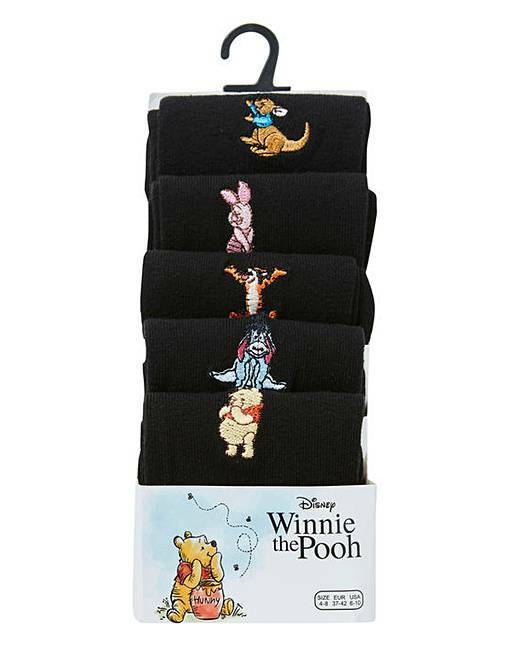 Cosy up your feet this winter with the 5 pack Winnie the Pooh Embroidered Socks. 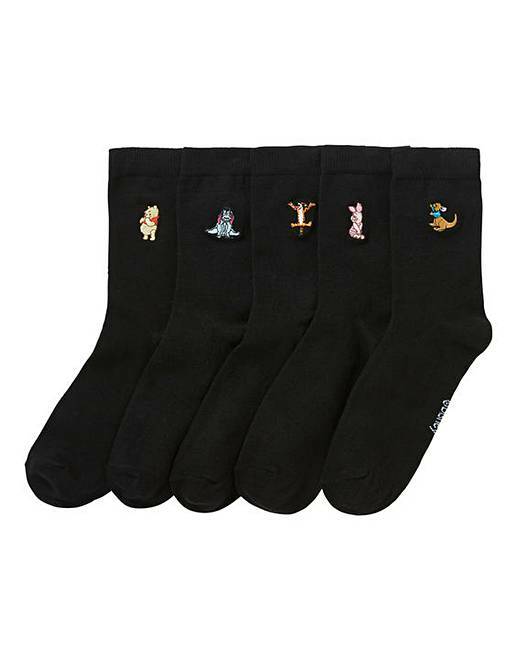 These adorable themed socks offer a charming new take on a traditional, everyday essential. Made using a cotton-rich fabric, these socks feel soft on the feet and leave you feeling comfortable and fresh throughout the day. 76% Cotton, 15% Polyester, 7% Polyamide, 2% Elastane.